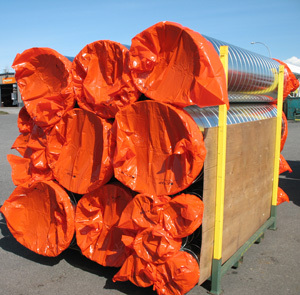 We design and manufacture any custom sized reusable polypropylene cover that would fit your needs. From small 2" covers for pipes to large enough custom covers for display cases. Due to the many options available, we feel it is best to call or email us for a quote to make sure we get the best fit for your needs. Check out our Photo Gallery for more custom cover ideas! 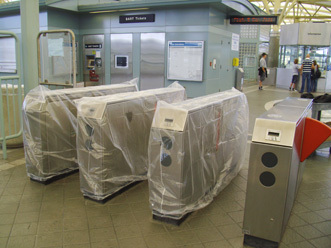 The Ductcap cover is designed to protect the entire air handling system during construction. Using a Ductcap cover on all unfinished ends, helps prevent moisture, dirt particles, dust and debris from entering the air handling system. The reusable Ductcap cover is designed to be installed by stretching the elastic band over the round branch or any other open end. 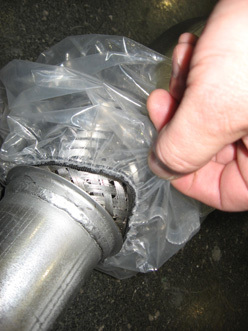 No tape, screws or nylon ties are needed to secure the Ductcap cover to the duct. 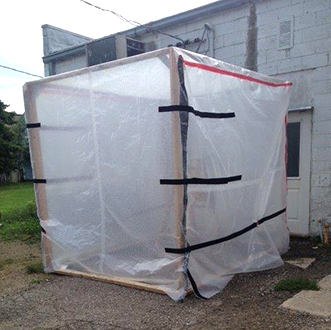 KZ Sales will design and manufacture custom sized pallet/container covers to fit your needs. Due to the many options available, we feel it is best to call or email us for a quote to make sure we get the best fit for your needs.